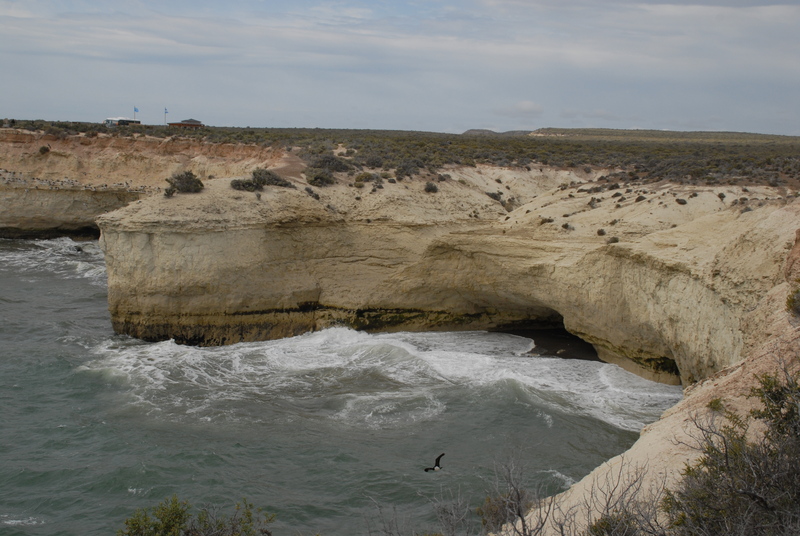 Peninsula Valdés, jutting out into the Atlantic, is heaving with sea life, from whales to sea lions, to my all time favourite, penguins. The options of where to go and how to get there can be a bit overwhelming; do we take a guided tour to the penguin colony? or a boat to see the dolphins? or rent a car to see the whales? 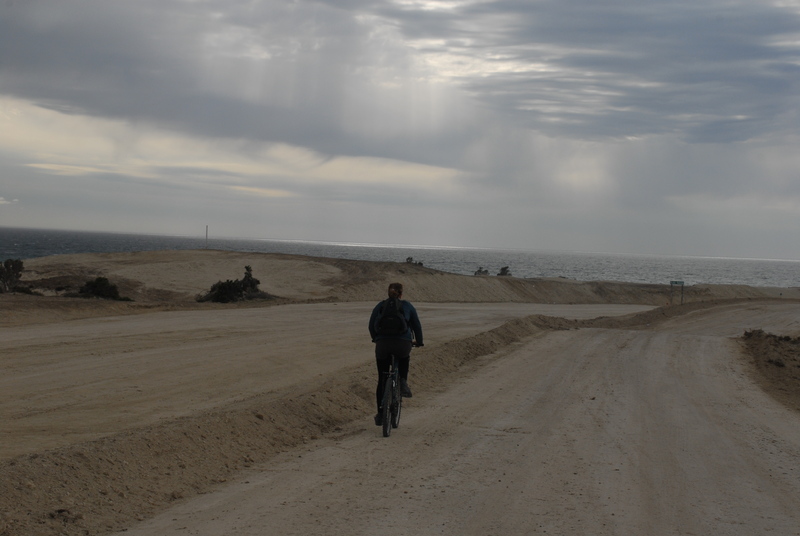 I made the decision to start with a bike, and brave the ice cold winds along a gravel road to Punta Loma, the sea lion beach. A decision that I would later regret. The journey started pleasantly enough. Anna, who I’d met at my hostel, and I rented old bikes from a shop by the beach in Puerto Madryn, and headed off along the coast. I bent over the low handlebars and balanced on a narrow saddle, wishing I’d splurged on a comfier bike, as the road took us out of the town and into scenic area of sand dunes and sparkling ocean. The wind seemed to be coming at us from all angles, making cycling uphill almost impossible. We alternated between cycling and walking as the road wound up and down, and turned from tarmac to sand and gravel. We pedalled hard against the wind and sand and completed the 17km journey, grateful to park our bikes and stretch our aching backs. 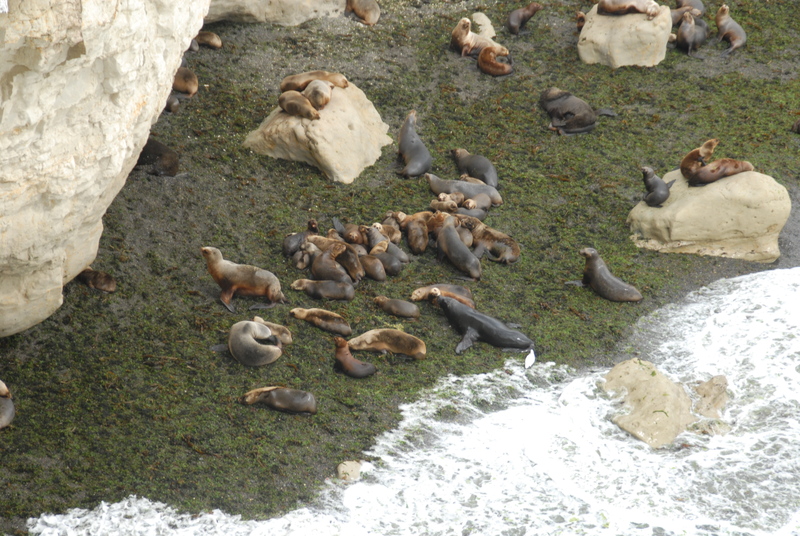 We took a short walk along an outlined walkway, reading placards describing the plants in the area, then stood on a wooden platform to watch the sea lions on the beach below. A few were swimming against the strong waves, heads bobbing above the surface before disappearing in a sleek movement and gliding gracefully beneath the water. 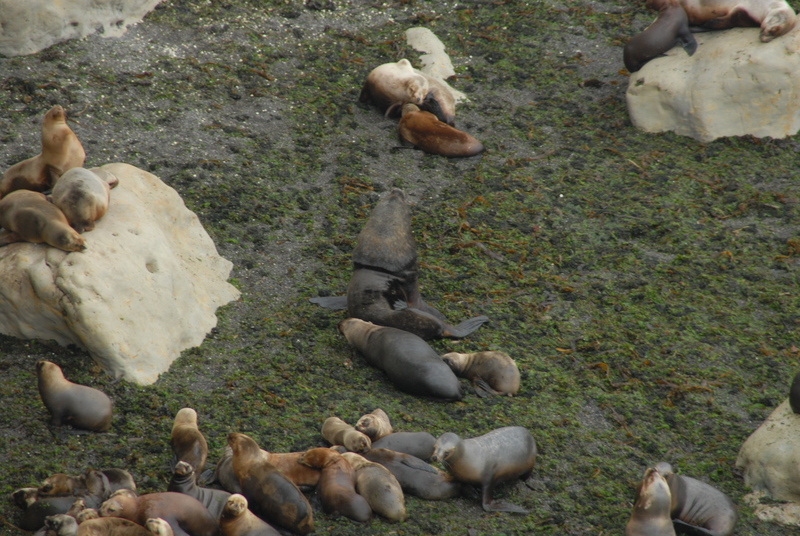 In contrast, the ones on land moved in heaving motions, blubber jiggling as they half-shuffled, half-hopped into the scrum of fellow sea lions. The adorable pups bleated, lamb-like, for their mothers’ attention, and every now and then a large maned male would charge at the group to scatter them, presumably just to show that he could. Rock shag birds swooped around us, nesting on the cliff face or swooping into the sea to return with wriggling fish in their beaks. We stayed until the cold wind got the better of us, then began the journey back. As difficult as the journey there had been, the journey back was almost impossible. The wind had now concentrated itself directly against us, and the road had somehow managed to rearrange itself so that it was almost entirely uphill (don’t ask me how). We gave up on cycling and marched along with our heads down to protect our faces from the sandy wind. Just as we were accepting that we would never get our bikes back in time, two angels in a pickup truck stopped to help us. The driver spoke to us in Spanish, saying “it’s cold” and “it’s windy”, followed by something I didn’t understand. It turns out he wasn’t just rubbing it in, he was offering us a lift. Beaming with gratitude, we accepted, and the two men hoisted our bikes into the back. Anna sat in the front with the driver while I sat in the back with our bikes and other passenger. He and I managed to stretch my limited Spanish into a pleasant conversation, and he pointed out the site where he worked as a construction worker, which was where they had been headed when they met us. Still, they insisted on continuing right to the edge of town to drop us off, before turning back the way they came. This act of kindness had turned what could have been a miserable journey into a memorable encounter, just one of many experiences I have had here that strengthens my belief in the kindness of strangers.